Ersilio Riva, founder and managing director of RIVA Ingegneria, graduated with honours in Civil Engineering, Structural Department, at the Polytechnic of Milan in 1975 with a thesis on the Seismic Engineering entitled “Multi-storey seismic building of 26 floors with a height of 86 m made in reinforced concrete C.A. with an internal core”. From 1975 to 1977 he collaborated with Professor Engineer Ezio Giuriani in the identification of a structural analysis method, which was published as an article entitled “The method of scalar and vector potentials of the displacements applied to beam and plate structures” in the series “Reinforced concrete constructions: Studies” (“Costruzioni in Cemento Armato: Studi e rendiconti”). In 1977 he decided to begin his own activity, founding the civil engineering firm RIVA Ingegneria and focusing on the structural engineering. During university courses from 1980 to 1986, he worked on additional teaching activities related to “Projects and Structures” by Professor Engineer Antonio Migliacci of the Milan Polytechnic. 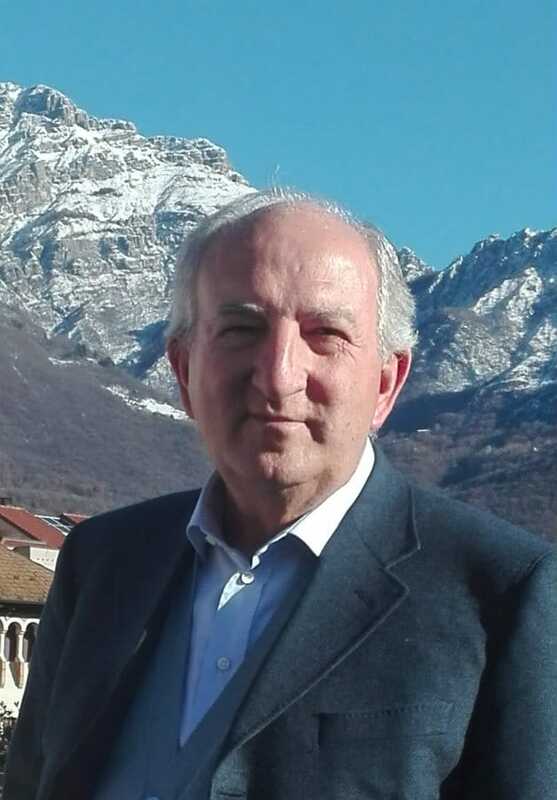 Between 1980-1986 he was the director of the ESPE (Professional School for building operators – Ente Scuola Professionale Edile) of the city of Lecco, whose activity began in 1980. During this period, the ESPE headquarters were built, consisting of an educational building with classrooms, offices and conference room and a 1600 m² building to serve as a simulated construction site. From 1995 to 2002 Ersilio Riva was Project Manager at Valtur – Holidays Resorts (Villaggi vacanze), where he was responsible for the design and renovation of tourist resorts in Italy and abroad. for the series “Reinforced concrete constructions: Studies” (“Costruzioni in Cemento Armato – Studi e rendiconti”). Scientific article about the identification of a structural analysis method in collaboration with Professor Eng. Ezio Giuriani, Polytechnic of Milan. 1984: “The good exchange in Modena: technlogy and design”. in the series “Module” (“Modulo”). Quoted as the structural designer of the building made by glass-fibre reinforced concrete..
1985: “Renovation of Olympic Stadium’s parterres and bleachers in Rome ”. in the series “The Italian Sectory of concrete” (“L’industria Italiana del Cemento”). Quoted as structural designer. 1988: “New highway connection A1-A2 Fiano-S. Cesareo crossing the highway Roma-L’Aquila”. in the series “The Italian Sectory of concrete” (“L’industria Italiana del Cemento”). Quoted as structural designer of precast elements. 1990: “Long-span precast beams for the new Milan ice rink’s roofing ”. in the series “The Italian Sectory of concrete” (“L’industria Italiana del Cemento”). Quoted as designer and structural works supervisor. 1996: “Tecnology is also architecture”. in the series “Precast”. Quoted as structural designer. 2004: “When the material makes noble the building”. in the series “Dimensions and solids” (“Dimensioni e solidi”). Quoted as structural designer. 2016: “Load-bearing structures and formworks”. published by ANCE Milan. I focus on the concept of load-bearing structures in reinforced concrete and pre-stressed reinforced one, presented during the conference held on 29-06-2016 at the ANCE headquarters in Milan. In this book the contributions of the other conference speakers are also collected: Dywit, Foundation Steel Promotion (Promozione Acciaio), Federlegno about wood structures, Assobeton and Unicmi.